It is said that a picture may be worth a thousand words but an old photograph can inspire many more. 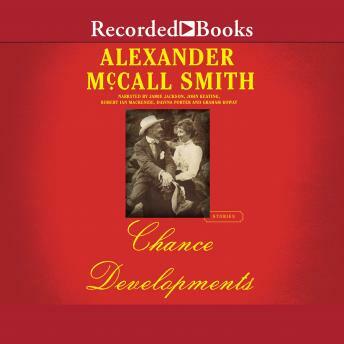 In this beguiling book, Alexander McCall Smith casts his eye over five chanced-upon photographs from the era of black-and-white photography and imagines the stories behind them.Who were those people, what were their stories, why are they smiling, what made them sad?What emerges are surprising and poignant tales of love and friendship in a variety of settings - an estate in the Highlands of Scotland, a travelling circus in Canada, an Australian gold-mining town, a village in Ireland, and the Scottish capital, Edinburgh.Some will find joy and fulfilment - others would prefer happier endings. Each of them, though, will find love, and that is ultimately what matters.